Frans Boone is arguably the flyest menswear store to come out of the Netherlands (besides Suit Supply) so it&apos;s only right to assume there must be tons of well-dressed dudes out there, right? That or there&apos;s something in the water. Hash? 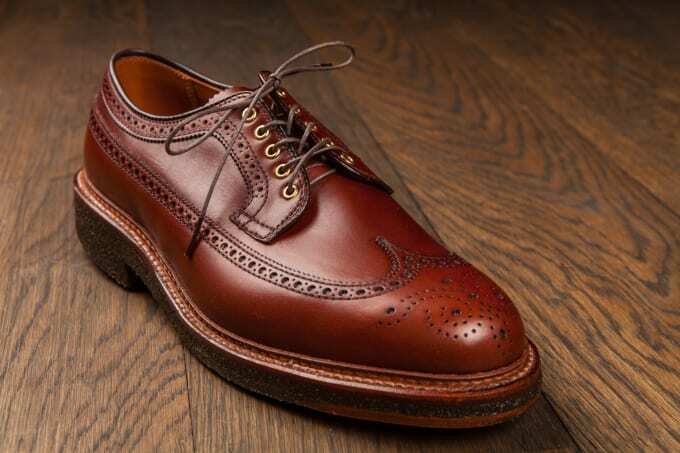 Seriously though, they carry the finest products and often get their own collaborations, like these reinterpreted Alden longwings, proving the strength of their flex is skrong. Constructed in walnut brown calfskin leather, they sit on a crepe sole with brass eyelets and round cord-hyde laces. They strike a great balance between casual and office appropriate, and would also look just as dope with a pair of jeans if you never wore another pair of trousers for the rest of your life. They&apos;re available now at Frans Boone for $543.